As winter dies down and the heat of spring begins to bear its warm embrace, all the matcha sweets start hitting shelves in Japan. It’s the best time for matcha lovers across the country. 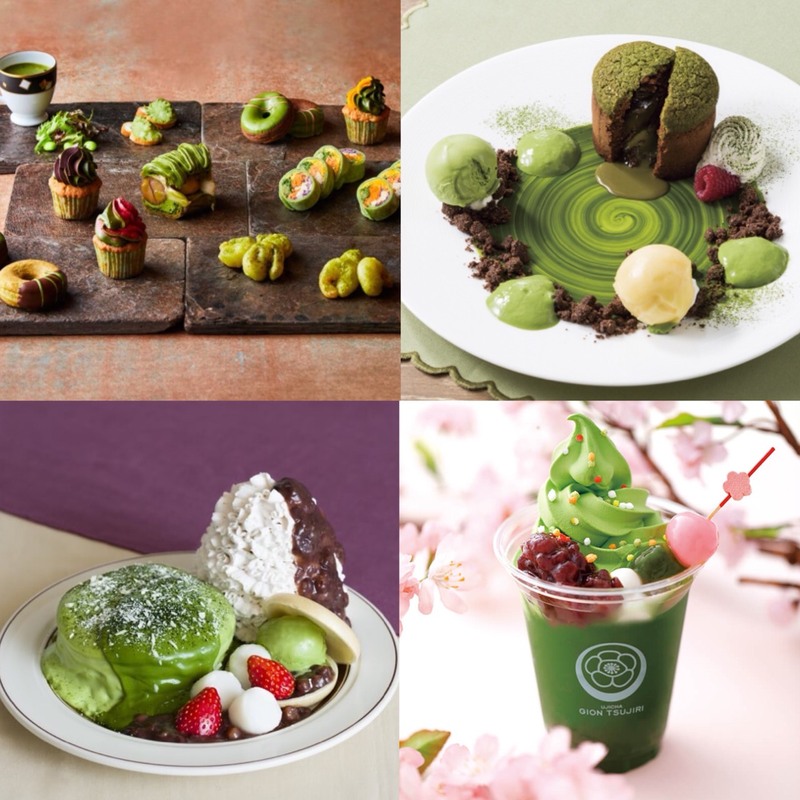 Today, we take a look at 6 matcha goodies set to hit Japan this year. 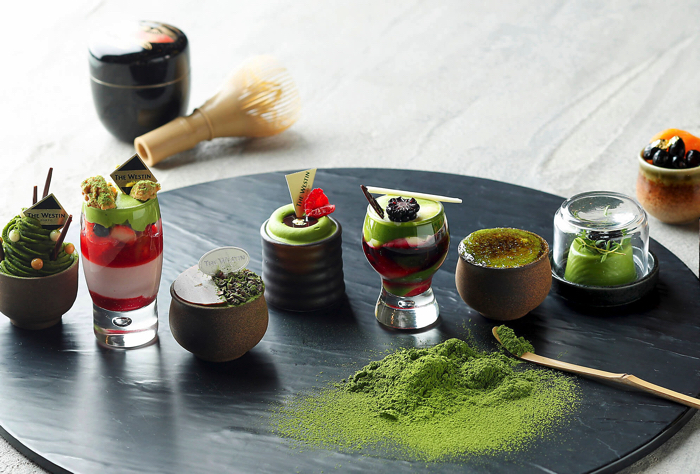 The matcha desserts extravagantly use a range of different matcha, including Uji and Nishio. 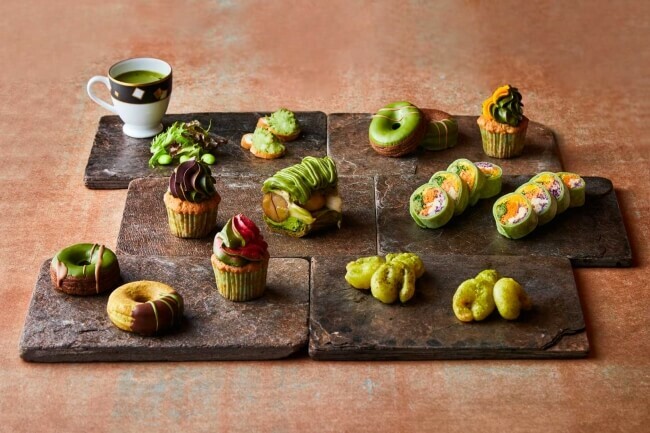 There are 20 all-you-can-eat confectioneries to choose from, each of which draw our the delectable flavour of matcha. 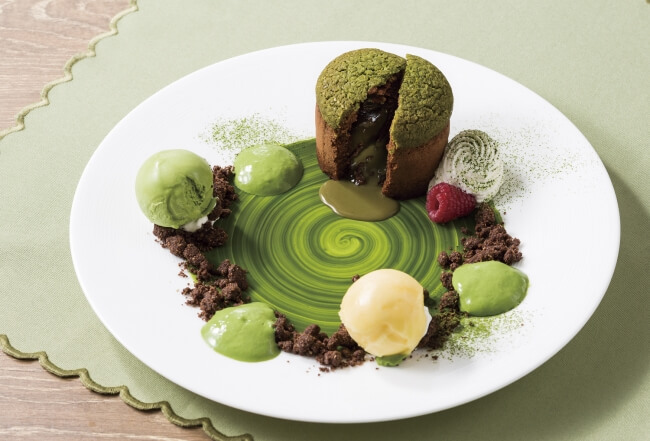 From a Matcha Fondant that made with a mix of matcha and fresh thyme that evokes fresh verdure to the “Strawberry & Raspberry Truffle,” The Westin Tokyo has a line-up of original, unique sweets. The Kyoto Shiji branch of Eggs ’n Things will sell its limited edition Uji matcha pancakes at its other branches across Japan. These are a new Japan-Western fusion of pancake that use matcha custard made from carefully selected matcha custard and matcha cheese. They are guaranteed to satisfy your belly with a generous serving of whipped cream and sweet, high-quality adzuki beans. Sold at Eggs ’n Things stores across Japan. Gion Tsujiri have released a springtime-only menu at their main branch in Gion, as well as their Hachijoguchi and Saryo Tsujiri Kodaiji branches. 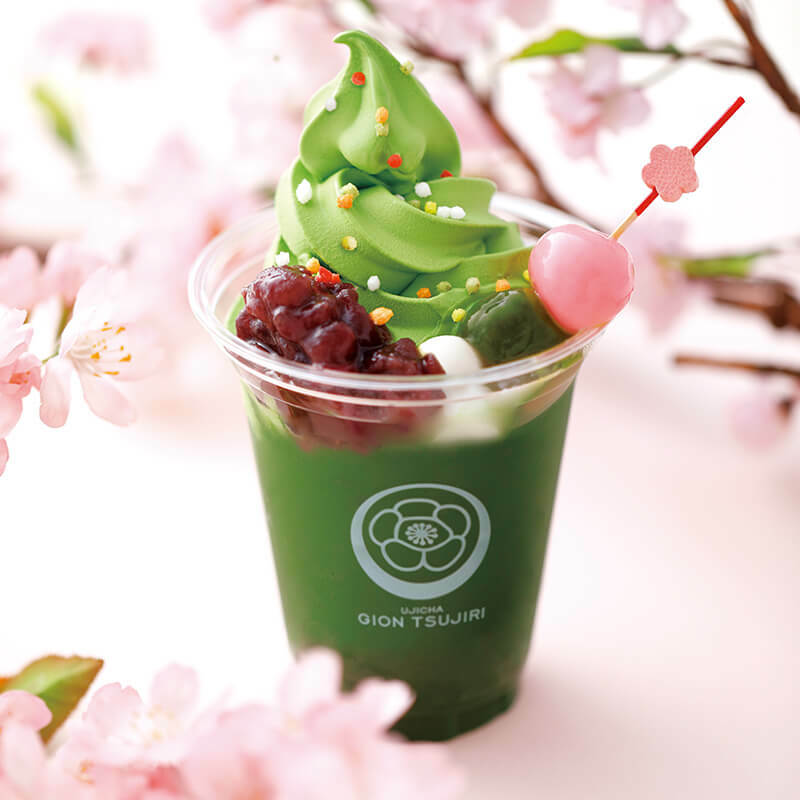 There are three items available: the matcha “Nene Float” soft-serve ice cream that sits on top of green tea, as well as two different cherry blossom ice creams, all of which will make you smile just looking at them. 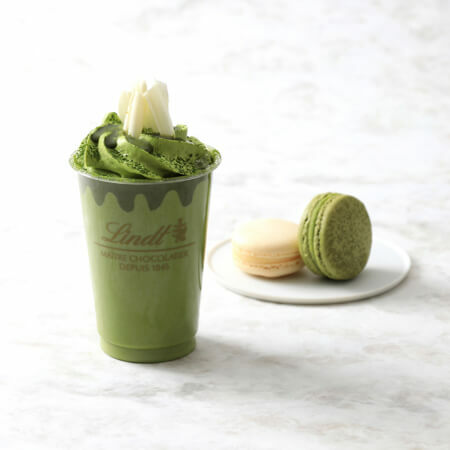 Matcha beverages are a hit at the Lindt Chocolat Cafe in Japan every year. But this year they’re kicking it up a notch and doubling the amount of matcha used last year, giving a richer and deeper matcha taste. The fusion of white chocolate and matcha ganache makes this drink neither too sweet nor too bitter. It also comes with a macaron. “Matcha Mania” is an immensely popular buffet that’s difficult to get places for. It’s enjoyed across people of all ages, not just matcha sweet lovers. This time they’re amping things up by adding a sweets menu for popular teas houjicha, Jasmine tea and Earl Grey. You can also order sandwiches, baguettes and more. BLUE BRICK LONGUE is situated in Yoku Moku Aoyama Honten where they are currently selling a matcha dessert for spring only. The subtly bitter matcha ganache is irresistible, and spills forth as you push your knife into it. This luxurious looking plate is reminiscent of a Japanese-style garden with fresh verdure. 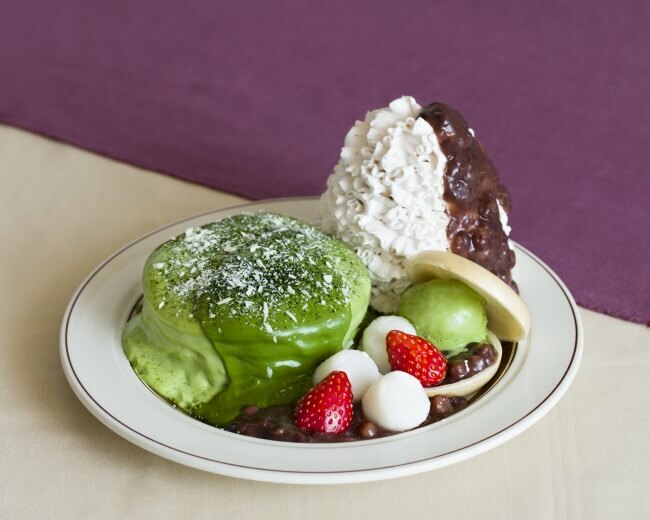 You can enjoy the cold ice cream together with hot matcha. Did you like our picks?